Most of the surrounding low mountains are covered with forest straight to the top. In contrast, on Slivnica there appears to be a tree-line. This is not because of its height: with 1114 meter, the mountain is hardly higher than the surrounding mountaintops. Instead, the open vegetation is caused by summer grazing with cattle and horses, and which also continues today. However, the grazing practices have changed from herding with a shepherd to a more intensive grazing in a fenced area. Within the fence, grazing is intensified and part of the grassland is even fertilized. Outside of the fence, grazing is abandoned and the vegetation is rapidly changing into a forest. In addition to the grazing, there are several flower-rich hay-meadows, which are well worth looking at. 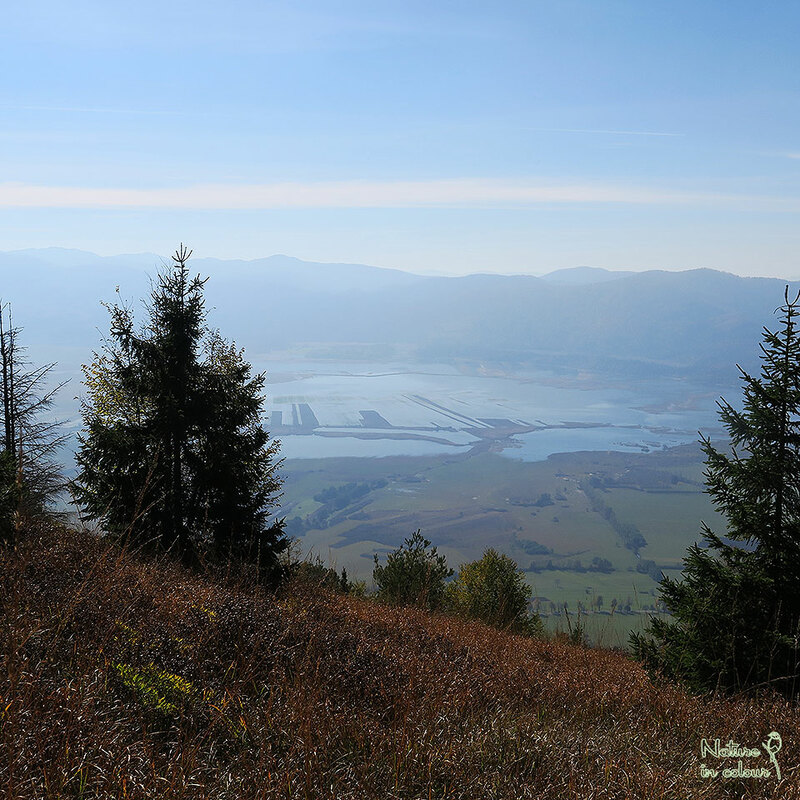 There are several hiking trails and an unpaved road leading to the top of Slivnica and local inhabitants like to hike up during weekends. In contrast, you will meet few foreign tourists: this is well away from the known hiking destinations of the higher mountains. On top, there is a mountain hut which, in all honesty, looks like it best days are past. It is open on weekends in summer, when I go there myself it is usually closed. Quite often, I am here all alone. The biggest attraction of Slivnica is, without doubt, the terrific view. From here, you can oversee the entire Cerknica valley as if you are looking at a map of the area. The Cerknica valley is periodically flooded in this way the intermittent Lake Cerknica is formed. Because of this, the view of the valley is never the same! The slopes of Slivnica are largely covered with Beech forest, and in some parts, there is Spruce planted. Birch and Pine mark the forest edges. On the formerly grazed parts at the top, Laserwort marks an intermediate stage in the succession from grazed meadow to forest. 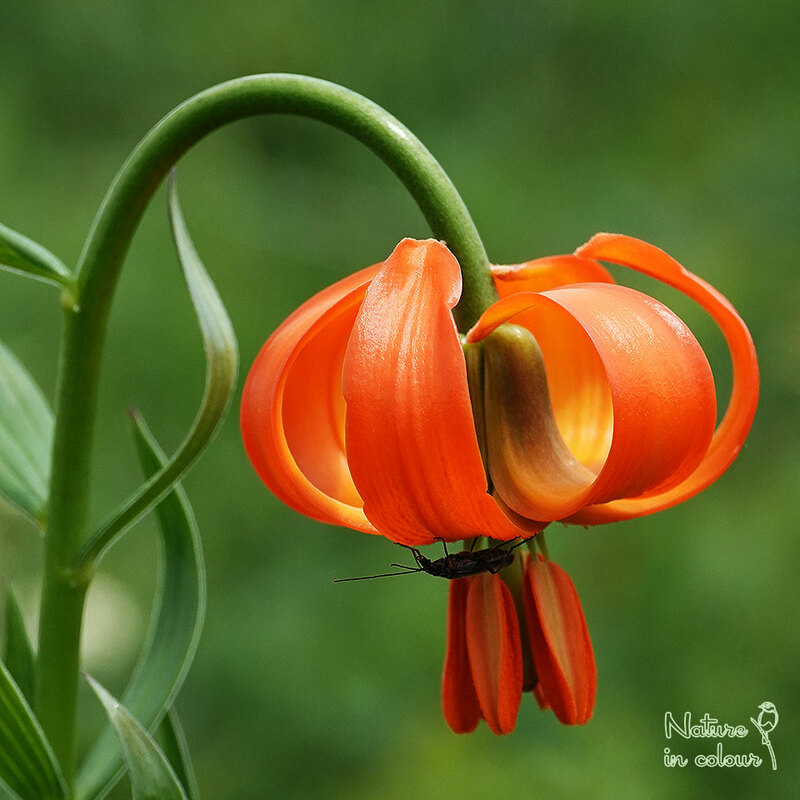 In between, there are a few Carniolan Lilies: a beautiful orange flower which occurs in isolated populations on the higher parts of the Notranjska region. In fall, isolated Rowan trees colour beautifully with yellow leaves and bright orange berries. On the top of Slivnica, there are several remarkable grasshopper and bush-cricket species, which appear to have isolated populations because they cannot disperse through forests. These include the Foothill Mountain Grasshopper and the Eastern and Dalmatian Saddle Bush-cricket. All three can be found in quite many parts of the Notranjska region. This is not the case for the Large Mountain Grasshopper, a largely Alpine species which occurs on a few mountain tops in the region and on part of the Bloke plateau. 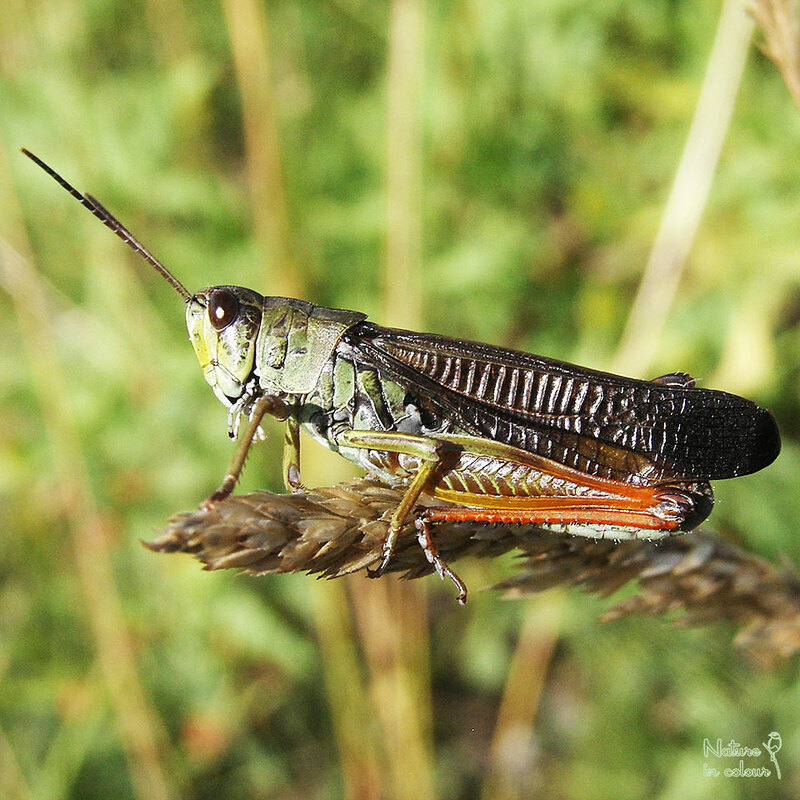 You may notice Large Mountain Grasshoppers when they fly up in front of your feet with loudly rattling, black wings. The mountain hut has been partly constructed with local limestone rocks. At a little distance from the hut, there is a hole in the landscape of maybe 30 meter in diameter: this is where the construction material came from. This hole is rocky, with some wild Rose-bushes. On sunny days, Wall-lizards are active here, and nowhere else on Slivnica. How they came here is not clear, perhaps they have been transported with construction material in the past. The nearest populations are along an unpaved road underneath Slivnica, and these are separated from the top by a wide expanse of dense forest. 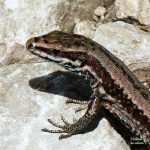 Alternatively, these wall lizards might be a remnant from a time when the slope was more open and cattle grazing influenced a much wider area.